While most planned LNG facilities are located in either Louisiana or Texas, a few will be constructed outside of the Gulf. One of these, Dominion Energy’s (ticker: D) Cove Point in Maryland, is queued to become the second major U.S. LNG export facility to begin shipping cargoes, following Cheniere Energy (ticker: LNG) which in February 2016 became the first LNG export project to begin shipping liquefied U.S. natural gas to international customers. 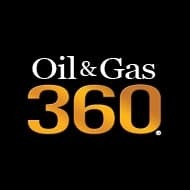 “The Cove Point export project remains on schedule for completion in the fourth quarter of this year,” a spokesman for Dominion Energy told Oil & Gas 360® via email. In its September update, Cove Point posted a statement on its website saying that “the liquefaction project is 95 percent complete; there are currently more than 3,200 construction workers on site. The company said all of the major equipment has been placed, cranes have been removed and now the focus is on commissioning activities. Cove Point is currently an LNG import facility, but the rise of unconventional production from the Marcellus has pushed the facility to be retooled to export gas. Cove Point will have a total capacity of 5.7 MTPA when fully operational. One of the other main LNG facilities outside the Gulf has also seen new developments. Veresen’s (ticker: VSN) Jordan Cove announced last week it has filed for FERC approval, seeking the go-ahead for the project. Located in Oregon, Cove Point is a planned 7.8 MTPA terminal. Jordan Cove anticipates FERC will make a decision on this project by the end of 2018, which would allow FID in 2019 and an in-service date of 2024. Venture Global announced yesterday it has entered into a contract with Edison, an Italian power company, for the supply of LNG. Edison will purchase 1 MTPA from Venture Global’s Calcasieu Pass facility to power Italian facilities. The gas will be purchased on a free on-board basis for a 20-year term beginning when Calcasieu Pass begins operations. Venture Global is currently awaiting approval from FERC for its project, and expects this approval in mid-2018. If this approval is granted, FID will take place in 2018, and commercial operations would begin in 2021. Calcasieu Pass is expected to have about 10.8 MTPA of export capacity. This is not the first LNG contract Venture Global’s Calcasieu Pass has signed, as the company entered into an identical agreement with Shell in 2016. That must be a huge win for Marcellus drillers with a 20 year filled contract. Who are they?